Don't hesitate to visit this remarkable 3/4 brick home situated on 1+ acre in Castle Ridge Estates. Located just 5 minutes from restaurants and shopping in Troy or 10 minutes from shopping centers, grocery stores, & restaurants in O'fallon, IL. You'll feel at home upon entering the 2 story foyer, immediately noticing the fabulous attention to detail in the flooring and fresh decor. 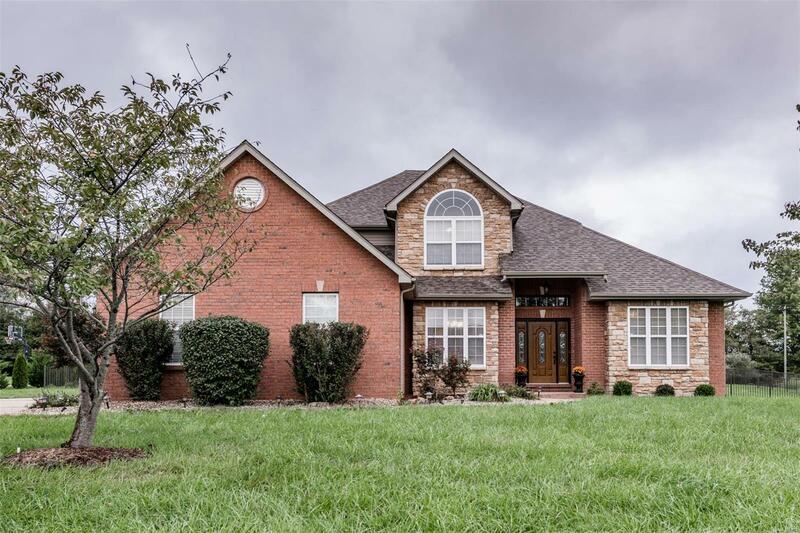 The front facing home office, formal dining room, luxurious master suite along with the 1/2 bath, gorgeous kitchen w/ SS, granite countertops, tile backsplash, breakfast bar, main floor laundry room, & spacious family room w/ gas fp encompass the main level. The upper level houses 3 more BRs & full BA. The lower level has it all! Rec room, gorgeous wet bar, BR, BA, & decked out media rm for the perfect entertaining space. Head out back to your ultimate party patio equipped with smoker, bbq grill, & beverage cooler overlooking fenced yard.